At SmartRecruiters, with each new product release we want to make your life easier and your effort even more impactful. Our Winter Release delivers on this in a BIG way! Parallel Processing – Manage and track active candidates across multiple roles. 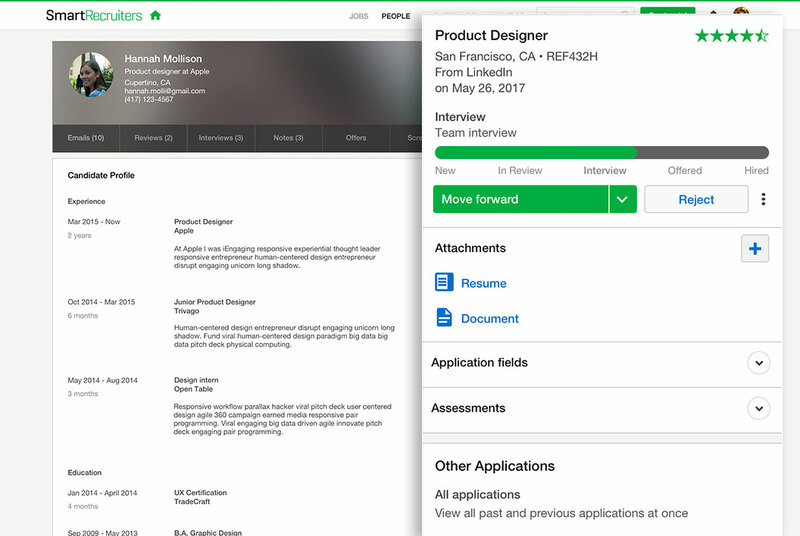 This major advancement saves time for Recruiters and Hiring Managers while providing a streamlined and professional Candidate Experience. 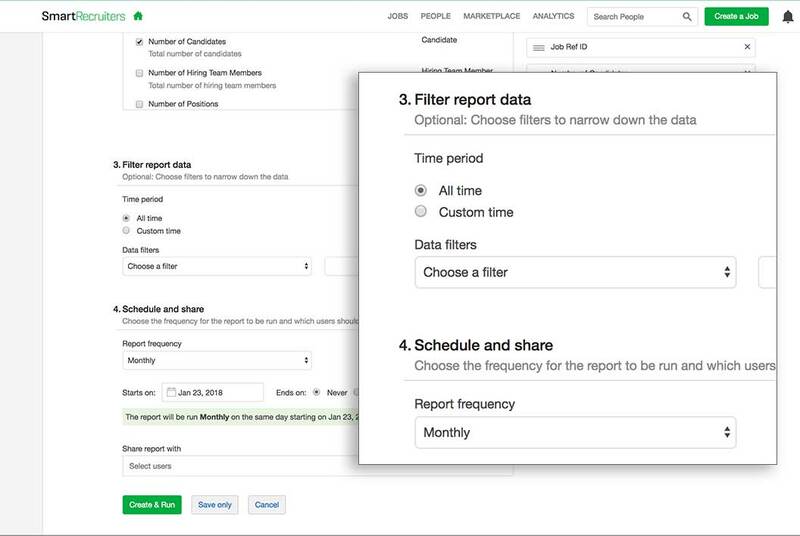 Report Builder – Easily build, export and share reports to be delivered to you (and your executives) without hassle. 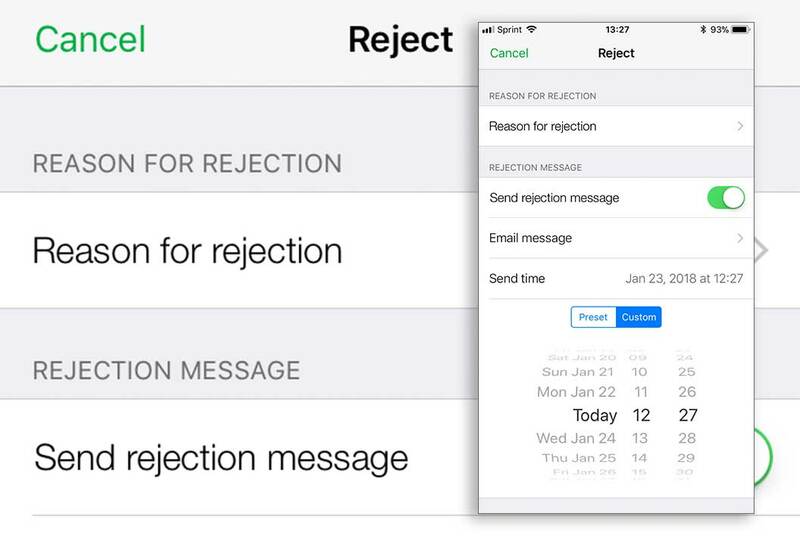 Easy Mobile Rejections – Take advantage of delayed rejections and templated communications from the mobile app to speed up screening. Xing & WeChat – Share jobs on Chinese and European social networks WeChat and Xing to connect with candidates across the globe. Scheduled Reports – Schedule recurring reports and determine appropriate recipients within the organization. Bookmark Homepage – Choose any page in the system to be your homepage and bookmark it to open there on login. Great for hiring managers, coordinators or anyone who wants to start their workflow from a non-default homepage. Internal Job Alerts – Incorporate a job alert widget for internal career pages to promote internal job discovery among your employees. Flexible Org Fields – Administrators can now create up to 11 org fields giving the team greater flexibility and customization within the platform and hiring process.